When you’re in charge of a franchise as loved and huge as Star Wars, there’s bound to be some pressure. J.J. Abrams was in charge of reintroducing Star Wars to billions of people and his penchant for planting mysterious with unanswered questions left several plot points in Star Wars: The Force Awakens open to debate. Arguably the biggest of these questions is who are Rey’s parents and why did they leave her on Jakku? It’s a pretty big question in the movie, but Abrams left it for someone else to answer in a future film. That hasn’t stopped fans from asking the director questions about Rey’s parents, and he’s now backtracked a bit on one of his answers. So, Rey’s parents could be somewhere in The Force Awakens as opposed to not being in it at all. That’s a pretty serious backtrack, but it opens the floor back up for fans to come up with theories on the heroine's lineage. This potentially limits the amount of suspects, but most theories were already focused on Force Awakens characters. There are a few contenders that have risen above the rest, each with there own amount of logic and speculation. The strongest theory is still that Luke Skywalker is Rey’s father. 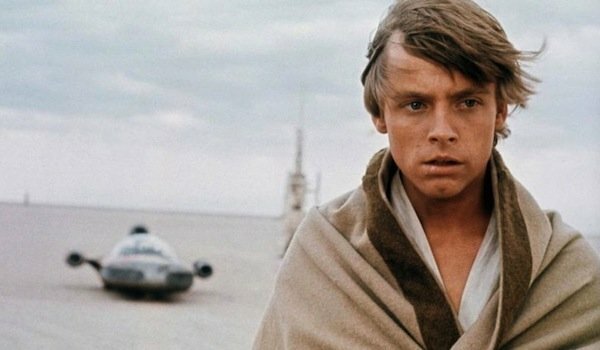 The plot of Force Awakens is centered on the search for Luke and it’s seemingly important that it was Rey, who is looking for her parents, was the one who ended up finding him. There’s also the large amount of similarities between the two characters. Both were raised on desert planets with dreams of leaving, both discover they are strong in the Force, and Luke’s original lightsaber called out to Rey specifically. These could just be poetic similarities to connect the two Star Wars trilogies but it’s hard not a very big leap at all to assume that Luke has some connection with Rey. This statement from J.J. Abrams also seems to squash the growing theory that Jyn Erso, the lead character seen in the Rogue One trailer played by Felicia Jones, is Rey’s mother. The two characters have a passing resemblance to each other, and the timeline of when Jyn would have to give birth to Rey for her to be a 20 something woman in Force Awakens does check out. 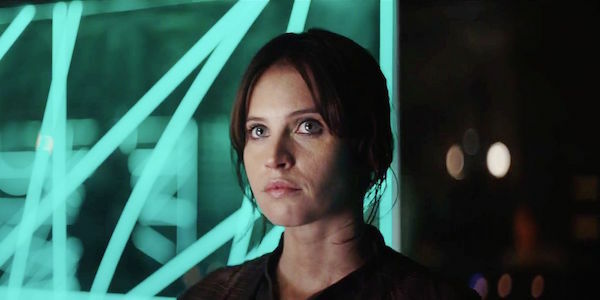 Jyn Erso isn’t in the Force Awakens; however, so that theory might be moot. The answer of Rey’s parents could potentially be answered in Star Wars: Episode VIII, which is scheduled to hit theaters December 15, 2017. We have heard this type of back and forth from J.J. Abrams before. His comments have pointed to SEVERAL other facts about Rey’s parents that can be found in Star Wars. Want to hear the best theories? Click on! So, now J.J. Abrams says that Rey’s parents weren’t discovered in Star Wars: The Force Awakens, but that they might have been part of her world. (Cue the Little Mermaid soundtrack!) That all sounds like mumbo jumbo, but we’ve analyzed all of this before. That’s not all. This video actually suggests that a CLASSIC, Original Trilogy character could be Rey’s relative. And this story breaks down that strange event that happened between Rey and Leia at the end of Star Wars: The Force Awakens.